What did Romney and Obama Say About Immigration in the First Debate? NOTHING! Because NOTHING was asked and neither candidate brought it up!!! 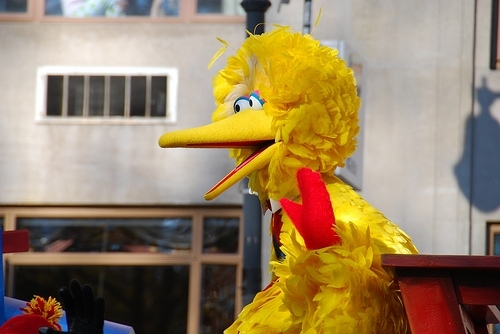 On a debate focused on DOMESTIC POLICIES, there were ZERO questions on immigration–but there was time for Big Bird to get a shout out. Wow. ← Alabama HB 56: Is This Not What You Expected? I plan to watch Sesame Street tomorrow in the hope that Bert & Ernie can provide us a clear explanation of each presidential candidate’s immigration reform plans. Vote Green! Vote mit! Vote Kermit the Frog! It’s just really unfortunate that this is was the debate about domestic policy because the rest of the debates don’t really allow a slot for immigration to be discussed.